As a Maker, I have always had a strong urge to be original. And I know I’m not alone. It’s really fantastic to be part of the Makers Movement happening right now, and heading up a small design and manufacturing company in Minnesota has been very rewarding. I started making furniture in 2003 as a way to repurpose unused material from our TrueRide skate park ramps, featured in more than 450 municipal parks all over the country. I wasn’t really a skate park designer, but the drive to innovate helped me achieve that success, and gave me the confidence to figure out how to make outdoor furniture, too. My goal was to create a piece unique enough to become known as the “Duluth Chair.” Why do the Adirondack Mountains get to have all the geographical glory? It was, and is, a bold venture – and I meant it to be. Over my career, I’ve met so many other “Makers” doing the same thing: making truly original products. Over the years we have shared information on business and direction. It’s easy to talk to another founder as we share the same challenges at the end of the day, like how to handle growth, business issues, and, of course, how to deal with people knocking you off. Some that come to mind are Hennepin Made and Cerno Group lighting, Silvercocoon jewelry, Epicurean Cutting Surfaces (which I also helped found), and Blu Dot furniture. Each of these companies starts with a fresh idea. They never set out to simply copy or knockoff someone else’s product – and this is why they are having success and getting attention! People can recognize them right away because of something truly new that was an innovation that was discovered through creative thinking, hard work, and trial and error. I think that the difference is in the authenticity and integrity of the people behind these original brands. They treat their fellow makers and their customers with respect. To them, it’s not just about making a dollar, it’s about doing the right thing, then taking pride in and standing behind what they do. In my own community of Makers, I’ve seen how integrity can become a driving force for innovation in local businesses, and how we can support and protect each other by committing to the principles of authenticity and originality. This reflects the national mission of Be Original Americas on a more grassroots and personal scale. Perhaps that’s why I’m particularly troubled when a small local maker chooses to copy: they blur the marketplace, confuse customers, and damage their own design community. Creating something from nothing is the best part of making, and authentic Makers relish in the discovery that follows. Anyone can copy a poem, but not everyone can write one. 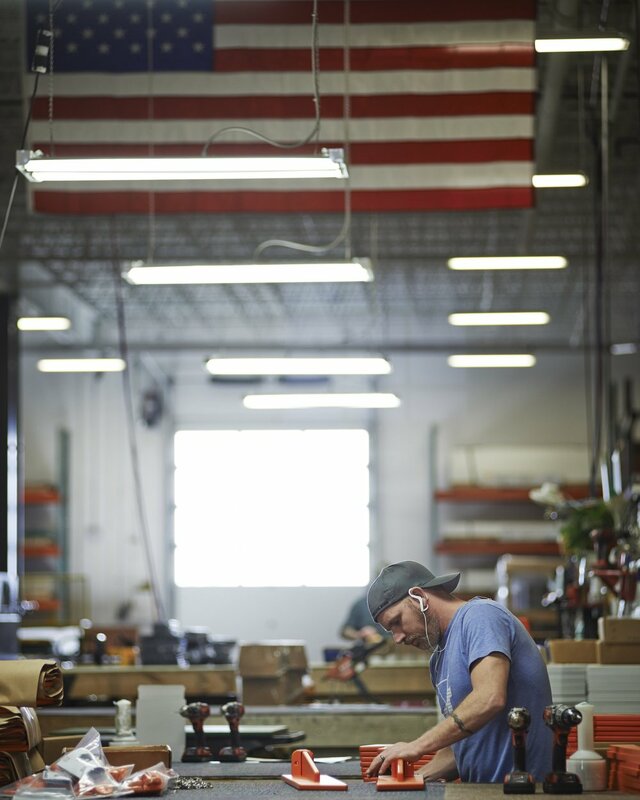 Our innovations at Loll include the 100% recycled material we use, a unique fastening system that allows for knock down shipping, and a modern design aesthetic to answer the 100-year-old Adirondack chair. Each of these innovations was hard-won through trial and error. With global brands and knockoffs on every corner, we have to stay on our toes and keep innovating, and keep fighting to protect other innovators, too. We all riff on those who designed before us, but you have to do something new with what you take, otherwise you are not adding to the collective advancement of design. You have to be original, too. Loll Designs creates & manufactures durable, all-weather outdoor furniture made from 100% recycled plastic. Learn more about them here.